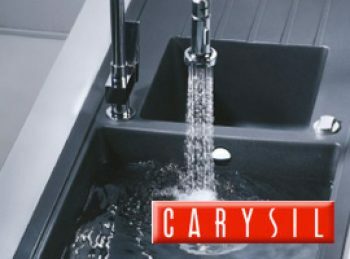 Quality Kitchen Sinks, Taps and Accessories, from entry level to specialist brands, in Dublin and Ireland Nationwide. 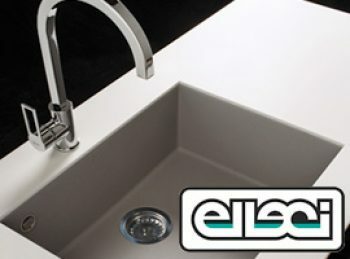 We are proud to present some of the best brands in the world catering from standard sinks, taps and accessories to the most exclusive specialist products. 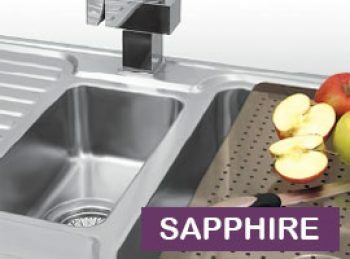 Sapphire is our own brand, which outsources production of quality stainless steel sinks and taps. Suppliers are chosen on their ability to meet the exacting standards required by our team. 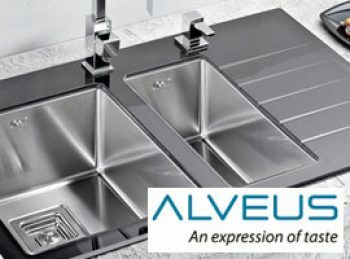 Alveus is one of the largest and longest running manufacturers of kitchen sinks and related products in Europe. It was established in 1955. 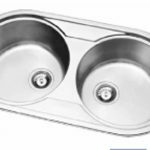 It is recognised for its consistent product quality and stylish designs. Alveus belongs to the Kovinoplastika Loz Group based in Slovenia, with customers and strategic partners that include BMW, Gorenje, Rational, Bosch and PSA Peugeot Citroen. KWC was established in 1874 in Switzerland and sells to over 40 countries. 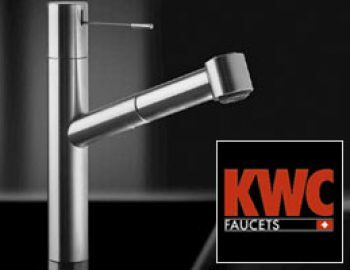 KWC taps bring a new sense of comfort, ultimate functionality and clean-lined aesthetics to the kitchen. KWC combines Swiss excellence and superior quality that you can rely on day after day. 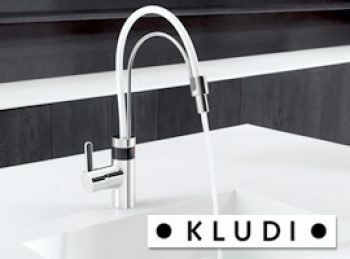 They are the dominant manufacturer of kitchen taps in the Swiss market. 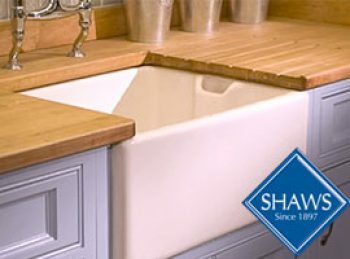 Shaws of Darwen has been manufacturing world class ceramic sinks since 1897 in England. 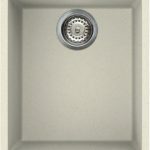 They have been using the same traditional materials and techniques to handcraft their heavy duty fireclay ceramic Belfast and Butler sinks for over 115 years. Suter AG was established by Alfred Suter in 1947. It is a family owned business based in Switzerland. 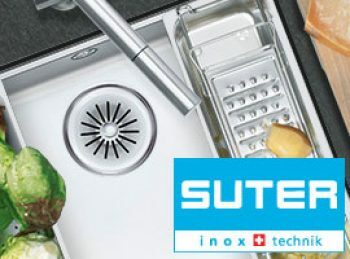 Suter manufactures stainless steel products of the highest quality and workmanship for kitchens in the private sector. 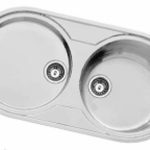 The company has been manufacturing sinks for over 60 years and is the major sink manufacturer in Switzerland, ahead of other known brands. In addition to the home market Suter exports to over 30 countries worldwide. The Kitchen Sink is a family owned business operating successfully from Dublin since 2010. 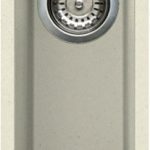 We are growing and have earned an excellent reputation with kitchen designers through hard work, good quality products and most of all the high level of service we provide to all our customers. 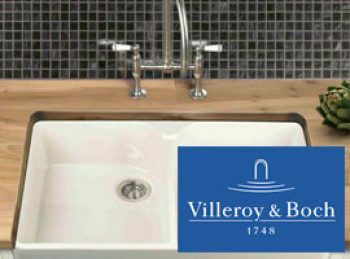 We supply nationwide a wide range of kitchen sinks and taps to suit a variety of styles and purposes and to cater for the entire spectrum from entry level to top specialist requirements. Our products are manufactured from high quality precision engineered materials. Please use the menus provided to browse through our product offering and do not hesitate to Contact Us with any query you may have. Please phone 01 4097723 to make a viewing appointment for our new showroom.